When will be GOT7 on V app next episode air date? Is GOT7 on V app renewed or cancelled? Where to countdown GOT7 on V app air dates? Is GOT7 on V app worth watching? 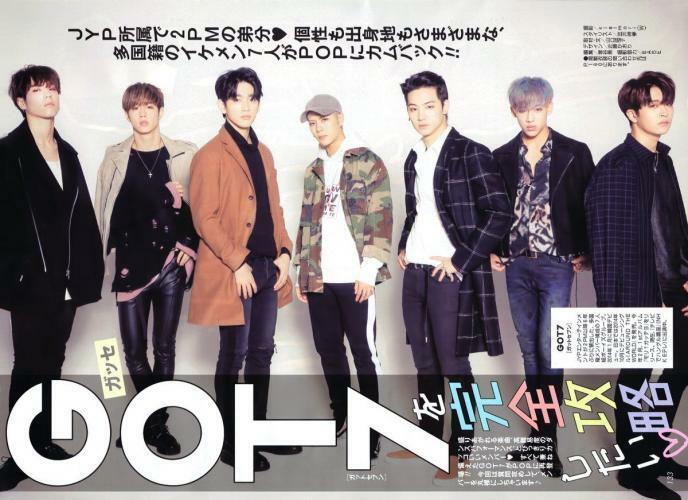 Got7 is a South Korean boy group formed by JYP Entertainment in 2014. The group is composed of seven members who hail from South Korea, Thailand, Hong Kong and the United States. JB, Jinyoung, Youngjae and Yugyeom are from South Korea, while Mark is a Chinese-American from Los Angeles, Jackson from Hong Kong and BamBam is from Thailand. GOT7 on V app next episode air date provides TVMaze for you. EpisoDate.com is your TV show guide to Countdown GOT7 on V app Episode Air Dates and to stay in touch with GOT7 on V app next episode Air Date and your others favorite TV Shows. Add the shows you like to a "Watchlist" and let the site take it from there.